World's first relationship is that of a mother and child. For young mothers, the first few months play a critical role in understanding and bonding with their child. 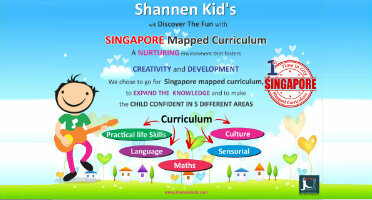 At Shannen Kids, we offer a learning program for you to understand and discover the physical, social, emotional and intellectual needs of your child in the early months. It is ideal for mothers with toddlers aged 10 to 18 months. This program has been developed keeping in mind a toddler's short attention span and the need for sensorial stimulation. 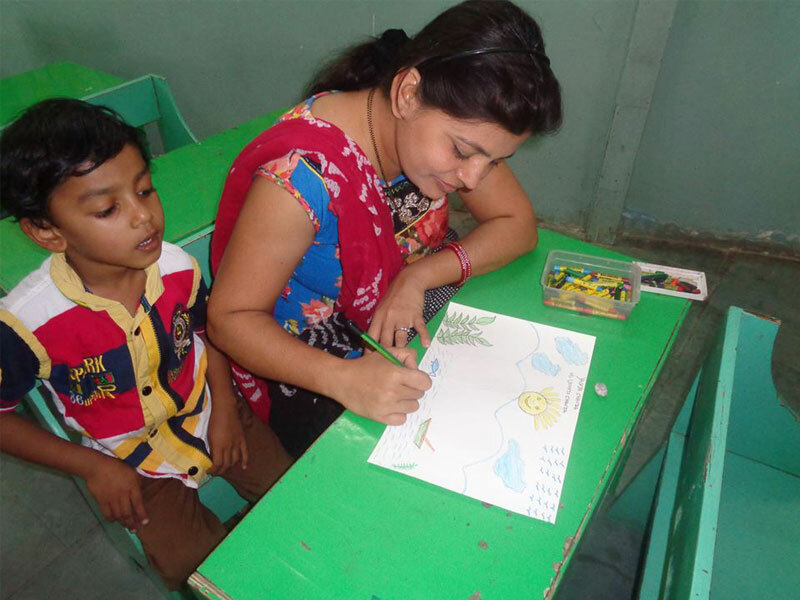 Learning is facilitated through an array of activities which help strengthen the mother-child bond. This programme is the combination of the best elements of what were formly Toodler Time and creative Beginnings.each week your child will develop cognitive, motor and language skill along with learning how to make choices and explore new exciting things. Your child will participate in music and movement activities and arts and crafts, all while learning and interacting with other children. improve gross and fine motor skills. The program provides activity-based integrated learning that stimulate the child's development in language, social/emotional, physical and cognitive areas; while the program addresses the visual, auditory and kinesthetic aspects of learning. Learning occurs in every area of the classroom through dramatic play, circle time, art, music, labeling and numerous other activities based on themes. Toddlers enjoy the creative curriculum that introduces basic pre-academic skills through play, teacher-directed group activities and hands-on learning. Equipment such as block play, ladders, balance beams, obstacle courses, a jungle gym, beads, shape sorters and stacking rings are set up to engage toddlers in sensory perceptual activities, splash pool, messy play with clay or sand and organized games like peek-a- boo. Opportunities are provided for developing logical and mathematical reasoning, vocabulary building and communication skills. 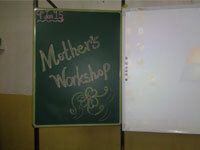 Programs also aim to develop an appreciation for literature. 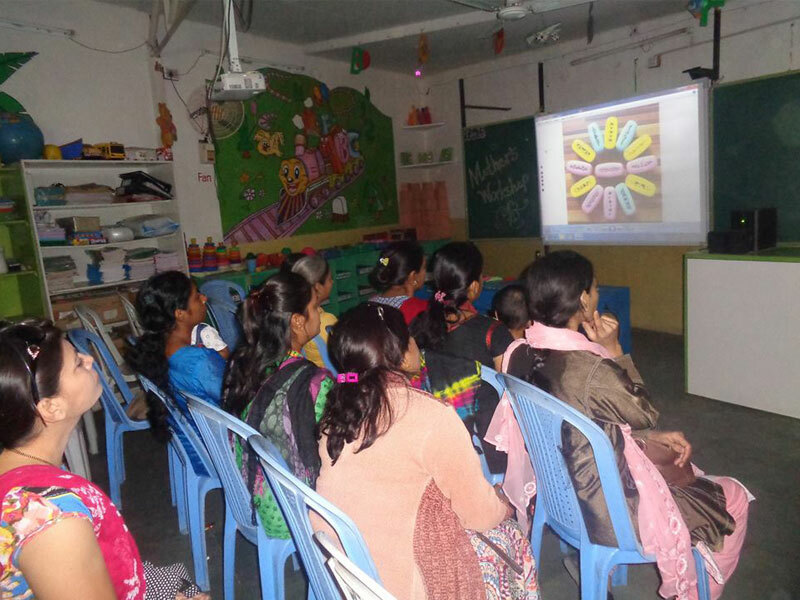 Story narration and movie sessions are conducted to enhance language and storytelling skills. Dolls, puppets, kitchen play, transport toys, blocks and a dollhouse provide opportunities for role-play, dress ups and enacting stories or situations that foster creative thinking skills. Involves finger play, action songs and rhymes to help toddlers learn how to listen and understand rhythm. They express emotion by learning to communicate through music and dance. Involves sessions of gentle stretching, baby yoga, rocking and massages to stimulate muscular development. Involves outdoor activities such as climbing, balancing, throwing, catching, running, jumping, sand and water play which promotes physical development, large motor skills and facilitates sensory stimulation. Fees : It will depend on center. Our program is based on supporting the child's need to explore. The facilitators will plan activities and help shape the environment in order to provide a rich atmosphere in which the children can play and discover. The facilitators are also available as a resource for the children and their parents or care givers. The parental role in our program is vital. Parents are asked to encourage and support the child's interest in all activities. stay with your child and interact with your child whatever activity he/she may choose. sit with your child and participate in group time. Sharing is a complicated issue for young children. We do not expect children to share materials or activities while they are using them. Instead, we focus on protecting children's work and play. Some turn taking may be necessary if many children want to use the same materials. No care taker is allowed with the child. Parents will use their own mode of transport. Parents should strictly adhere to the time of the program. Dress children in old and comfortable clothes that can get DIRTY. There will be a variety of messy projects and we want the children to feel comfortable as they explore various materials.